A 2018 study shows that the Gluten-Free Product Market will become a 7.6 billion dollar industry by the year 2024. With this statistic in mind, many pizzerias have begun to introduce gluten-free pizzas into their menus to capitalize on this growing industry. In this course taught by two-time gluten-free Pizza Champion, Chef Antonio Langone, you will learn all about Gluten, contamination between nongluten friendly materials, and will develop practical skills in order to make Detroit style and thin crust pizzas using only gluten-free dough and ingredients. This course will be educational for restaurant owners who want to learn about the gluten-free diet or aspiring pizzaioli who want to learn the secrets and techniques behind making, stretching and baking their gluten-free pie. Graduates of this course will finally be able to satisfy the growing demand for the gluten-free market in their establishments and will never have to eat cardboard-like pizza again! 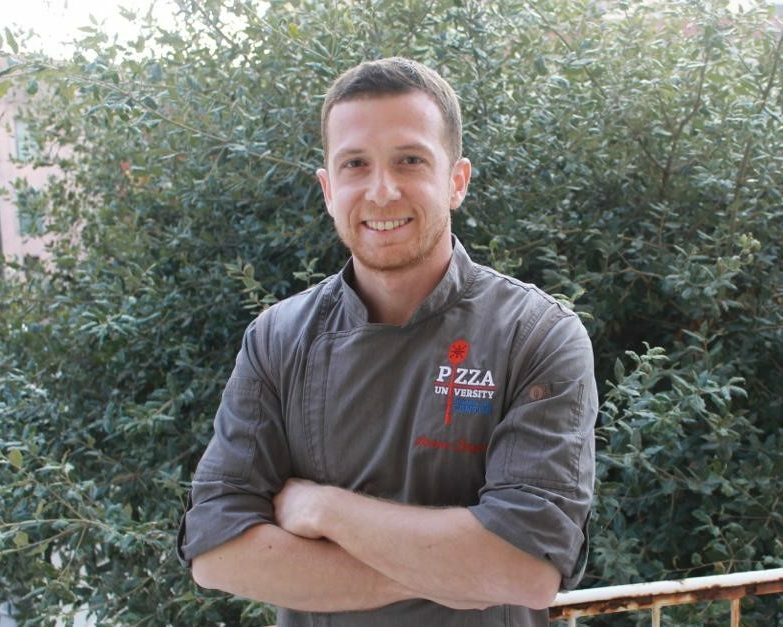 Chef Antonio Langone graduated in the Faculty of Literature and Philosophy, cultural heritage science, with a thesis on Pizza and Bread Making. Since then, he has been involved with start-ups, general management, and consultations for various pizzerias around the world in Europe, Asia, and North America. In 2012 he won the “Pizzaiuolo Championship” in Naples (Italy) and in 2018 he won first place in the Gluten-free section at the International Pizza Expo held in Las Vegas, Nevada. With over 10 years of experience in the pizza industry, knowledge stemming from around the globe, and a passion for the art of creating delicious gluten-free products, Chef Antonio Langone is eager to share his secrets with our Pizza University students. Ask us about our preferred hotel rates! Sign up to be notified when registration for upcoming courses becomes available! © 2019 Pizza University & Culinary Arts Center.